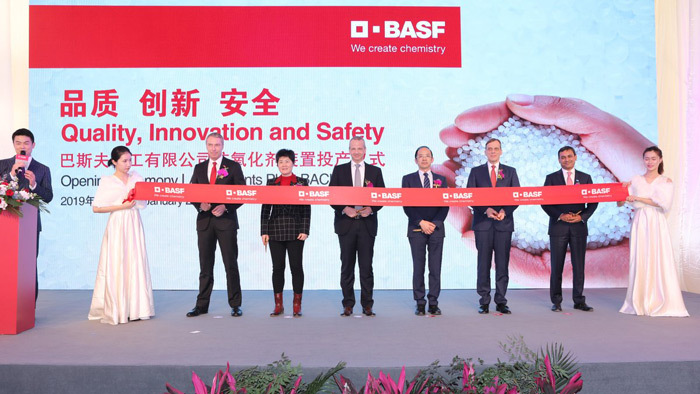 BASF has inaugurated a new, world-scale antioxidants manufacturing plant at its Caojing site in Shanghai, China, on 23 January. With an annual capacity of 42,000 tons, the plant will produce antioxidants and associated forms and blends for the plastic additives market. The units for powder blending, liquid antioxidants and forgiving are now operational as part of the plant’s first phase. Antioxidants help prevent thermal oxidation reactions when plastics are processed at high temperatures. Oxidation can cause the loss of impact strength, elongation, surface cracks and discoloration of the material. Almost all polymer materials undergo oxidative degradation reactions at one or all of the manufacturing, processing and end-use stages.